Slated to open in late August, a brand new Model Home Center is underway in the Watersound Origins community. 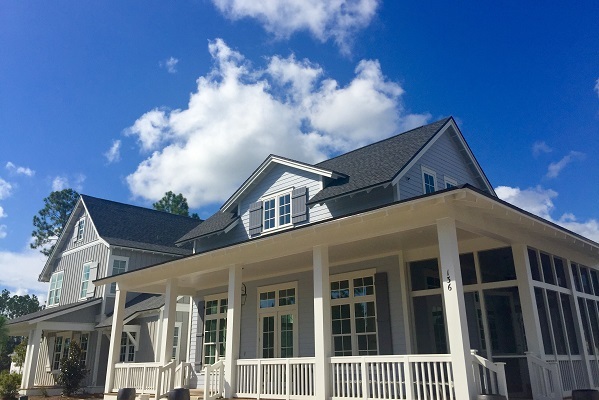 The new center will allow prospective homeowners the opportunity to learn more about the community and all available opportunities at the general sales center before touring two adjacent model homes from community builders Huff Homes and Romair Homes. Quickly becoming one of South Walton’s most talked about communities, the Watersound Origins community offers a relaxed lifestyle of both modern convenience and appreciation of the natural environment. Amenities include parks, walking trails, lake access, a resort style swimming pool, an events lawn and the Watersound Café open for breakfast and lunch. Origins Golf Club is a six-hole regulation short course located within the community that also plays as a nine-hole executive course or a 10-hole, par-3 layout. Located along the banks of Lake Powell, this South Walton community is conveniently located near beaches, shopping dining and schools. Ownership opportunities begin in the $400s. Huff Homes :: Attention to detail—from building the home to providing outstanding customer service—is the best way to describe Huff Homes. Founded by brothers Chandler and Brandon Huff in 1993, Huff Homes has developed an exceptional reputation along the Emerald Coast. Romair Homes :: One of the 30A region’s most recognized builders, Romair Construction has developed its homebuilding business on integrity. A key to owner Jason Romair’s success is designing and building homes that stand the test of time and style. A portfolio of home designs boasting finishes and features that homeowners want today, Romair Construction understands the importance of architectural details and quality craftsmanship. Romair also strives to provide an enjoyable homebuilding experience by providing homebuyers superior customer service. Huff Development LLC and Romair Construction are independently owned and operated and are third parties not affiliated with The St. Joe Company. The St. Joe Company and its affiliates do not guarantee the obligations of, nor provide any warranties, express or implied, as to the financial stability, net worth, credit worthiness, or competence of unaffiliated parties who build homes or offer services in the Watersound OriginsSM community. In the residential construction business, conditions can change rapidly and the owners and developers of Watersound OriginsSM urges its customers and homeowners in dealing with a builder to be vigilant over the building process.